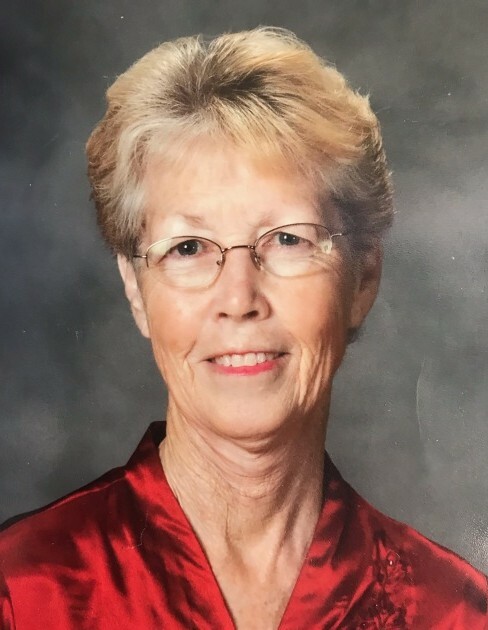 Slidell ~ Lois Gail Gatlin, 72, a retired school counselor for Era I.S.D. went to be with her Lord Friday, March 29, 2019 in Denton, Texas. Funeral service is 1:00 p.m. Tuesday, April 2, 2019 at Slidell Baptist Church with burial in Slidell Cemetery. Family will receive friends 6 - 8 p.m. Monday at Hawkins Funeral Home in Decatur. Rev. Bobby Cates will officiate. Pallbearers include Chad Skelton, Brett Stidham, Trey Vanderhule, Brian Allen, Nick Hale, and Joseph Gatlin. Lois was born December 26, 1946 to Lee Elwin and Mable (Callahan) Stidham in Anadarko, Oklahoma. She married James Roy Gatlin on August 28, 1965 in Wichita Falls, Texas. They were married 44 years until his passing in 2009. Lois graduated from Texas Women's University with a Master's Degree. She worked as a school counselor for many districts and retired from Era I.S.D. Those left behind to cherish her memory are her son, James Lee Gatlin and wife Tonya of Greenwood; grandchildren, Gayl Kirkland and spouse Zach, Candice Patton and spouse Courtney, and Crissie Hale and spouse Nick; great grandchildren, Addison, Adalyn, James, and Chaysen; brothers, Lee Stidham and spouse Phyllis and Ed Stidham and spouse Dorothy; a sister, Beatrice Skelton and spouse Bo; in-laws, LaVerne Halstead and spouse Ron, and Darla Kubat and spouse Mitch; numerouse nieces, nephews, and a host of friends. She was preceded in death by her parents, her husband, and her daughter, Kammie Carico.